Set up your AppFollow account to get the access to app marketing and free ASO tools, and reply to positive and negative reviews. Click “Sign in” or type your email in the field “Create Free Account”. Type your work email in a box. Check your email — we will send you your setting details. Your trial starts here and will last for 10 days. Add your first app to start monitoring its data. Add countries and languages to the app. Set up integration to alert your team about changes: reviews, updates, getting featured, ratings, etc. If you don’t use any, integrate app updates to your email. Setup ASO and Sales reports: you can be notified instantly, once a day, a week or a month. Email and Slack are available. 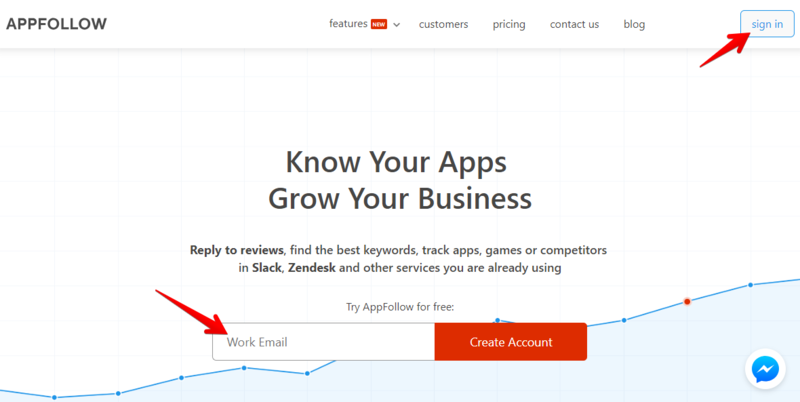 Add keywords to track how your app and competitors are doing. Need more time to try our features? Just hit the red Intercom button — we’ll figure that out!